Every year in the NBA there is a trade deadline and this year it falls a little earlier this year and there is already huge news about one of the biggest stars in the league. 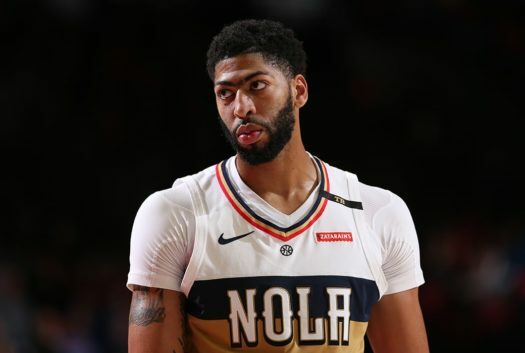 The star Anthony Davis had asked the New Orleans Pelicans to trade him. Davis’s agent Rich Paul had told WOJ that “his client wants to join a team that allows him the chance to win consistently and compete for a championship.” Paul then added “Anthony wanted to be honest and clear with his intentions and that’s the reason for informing them of this decision now. That’s in the best interest of both Anthony’s and the organization’s future. The Boston Celtics are one of the many teams that would very much love to trade for Davis, but you can count them out for now unless they are prepared to make a very big move because the Celtic’s star Kyrie Irving and Pelicans star Anthony Davis both signed their present contracts under ‘the Rose Rule,” Danny Ainge, the team’s vice president of basketball operations, couldn’t have both players on the roster at the same time. If the Pelicans and Davis can wait until summer, the Celtics’ could expand significantly, because of this they could have as many as 4 first round picks in the draft and could put together an impressive deal for Davis. The rule was named after Derrick Rose, the 2011 MVP, when it came into effect in the 2011 collective bargaining agreement because at the time he was the only player able to sign a maximum extension. This helps and rewards players who have exceeded their rookie deals and to help the league maintain competitive balance.